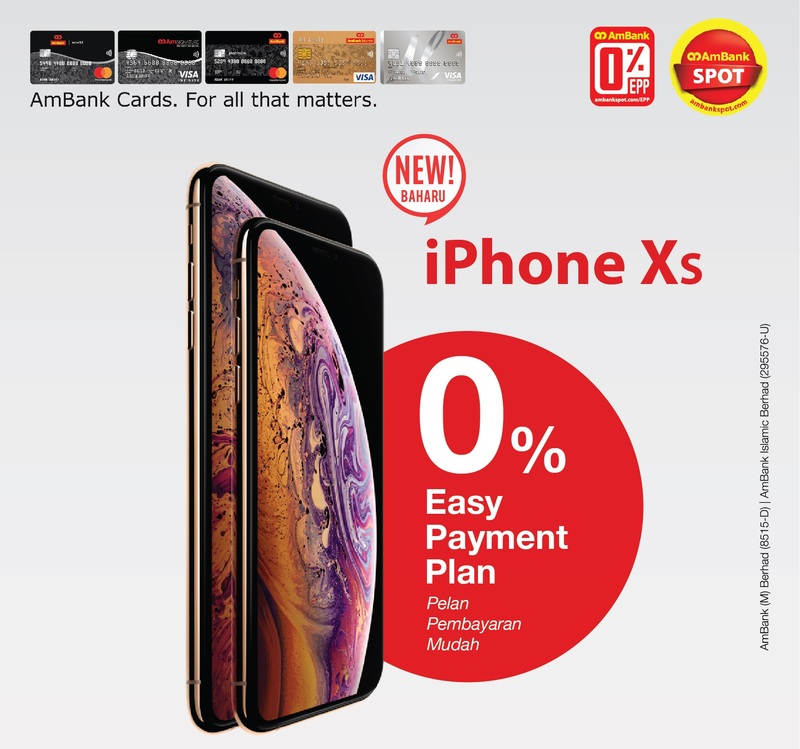 Get the new iPhones Xs with your AmBank Credit Card/AmBank Islamic Credit Card-i. Available now with 12 months 0% Easy Payment Plan! Click here to view all offers. Click here for full terms and conditions of 0% Easy Payment Plan Programme.